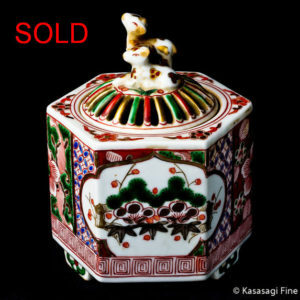 mid 20th century tripod style and hand crafted in reticulated design and decorated with frogs on the handles and lid. 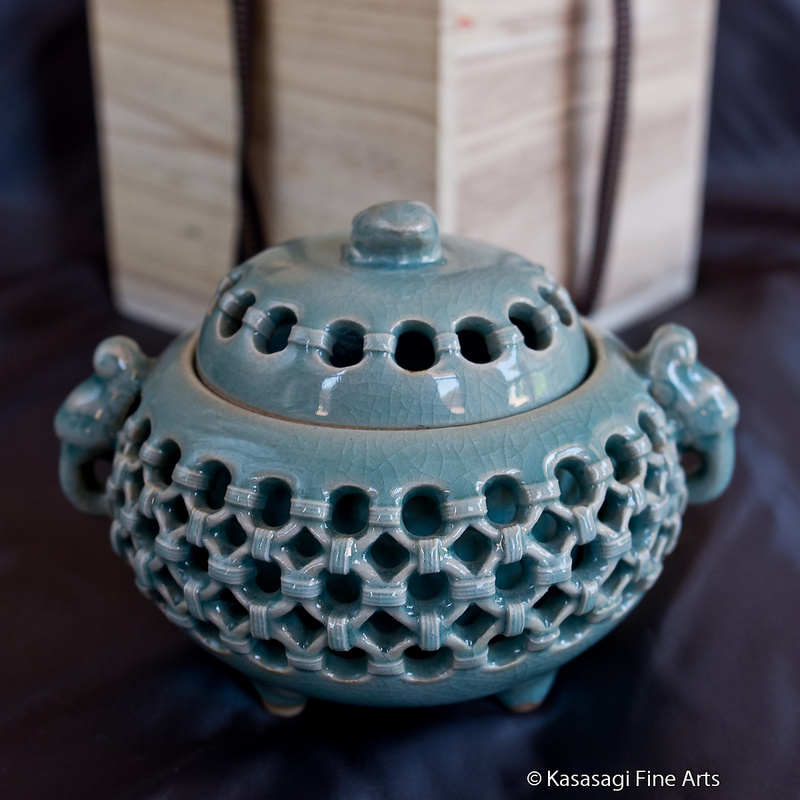 A mid 20th century beautifully hand crafted and finished Celadon Koro. Signed and hand made in a reticulated basket weave design. 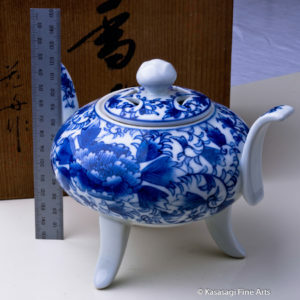 The handles and lid of the koro are also decorated with Celadon frogs and the legs crafted in tripod style. The koro also ships with a custom made wooden box and is in excellent as new and unused condition. There are no marks or dents. 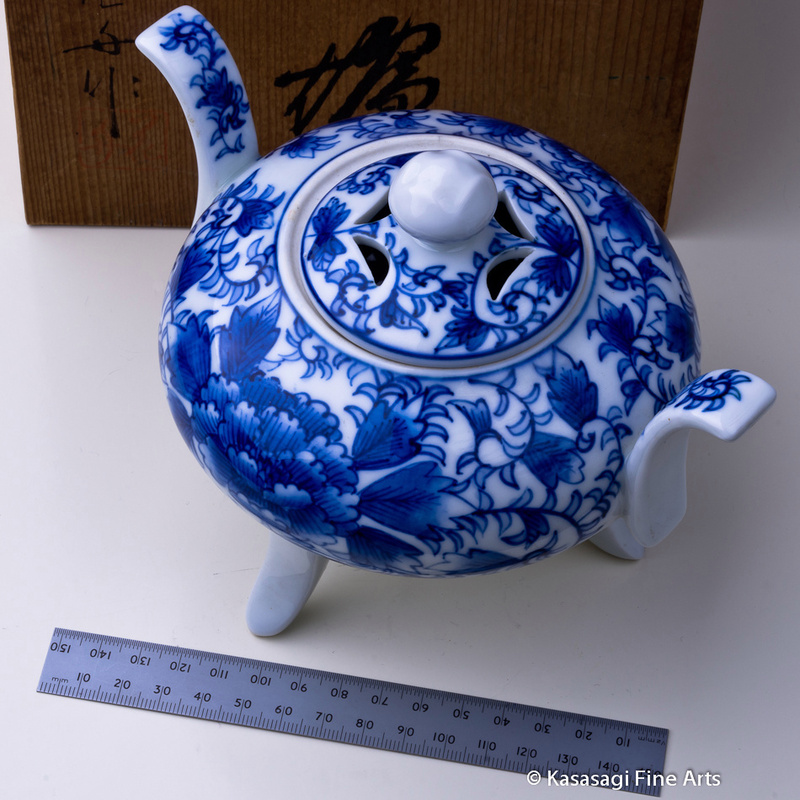 The koro dimensions are height 11 cm and diameter 14 cm. Weight 485 grams. We ship with Australia Post and include tracking and shipping time is approximately 8 business days to most locations outside of Australia.